The EU Choir receives support from a range of partners. Normally these partners contribute towards co-financing the projects such as the ‘Spring Concerts’ and “Autumn Concerts’. Since 1999 the Walloon Region has been in the position to be able to supply the needs of the EU Choir which in turn have allowed us to purchase materials required for our weekly rehearsals. Brussels is a large city and also one of the regions that form the Belgian state. Its government supports the EU Choir to undertake its concert series in the spring and autumn. Would you like to know more about how to sponsor the EU Choir? ​For each concert, thousands of flyers and hundreds of posters and programmes are distributed. 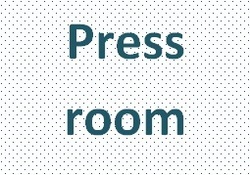 In addition, the concerts are advertised in the general daily press and the specialist press, on our website as well as in our newsletter which is sent to our subscribers. For more information or to become a supporter of the EU Choir, ﻿please contact us﻿. 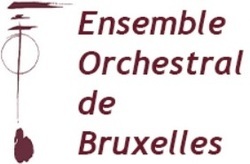 Created in 1994 under the patronage of Jose van Dam who is the honorary president, the Orchestral Ensemble of Brussels (EOB) is an artistic undertaking which allows the musicians to follow the difficult and demanding profession and to continue the European orchestral tradition. ​the European Union Choir today!